April 15-17, 2019 @ University of são Paulo - São Paulo, Brazil. The conference will take place @ Auditório Sul, Ala Central, IFUSP. Conference program: the program will be continually updated. Visit to LMCAL (Tuesday, 16/04): there will be a visit to LMCAL today at 13:30. Meeting point is the lobby of Ed. Basilio Jafet. - Alternatively, you may also use IFNET. To do that, send the MAC Address of your computer or cellphone to gtlandi@gmail.com (Click here for instructions on how to find your MAC Address). - Ed. Alessandro Volta, Bloco C. Sala 209. Applications involving quantum information processing, such as quantum computing, quantum metro- logy and quantum simulation, have recently attracted considerable resources from funding agencies and technology giants, such as Google, IBM and Microsoft. This explosion of interest owns to the extraordinary advances that have taken place in the last decade on the coherent manipulation of microscopic systems. This has led to the development of a series of experimental platforms, in which the deleterious effects of the environment can be minimized, allowing control over the fragile properties of quantum systems, such as entanglement and coherence, which are the main resources allowing for a quantum advantage. In light of this growing interest from the scientific community in quantum information processing applications, it becomes timely to carry out a debate on what are the potential applications of each platform, what are their advantages, weaknesses, peculiarities and future perspectives. This is the goal of this workshop: to put in contact experimentalists specializing in different quantum platforms, so that they may engage in a fruitful debate over the pros and cons of each system. 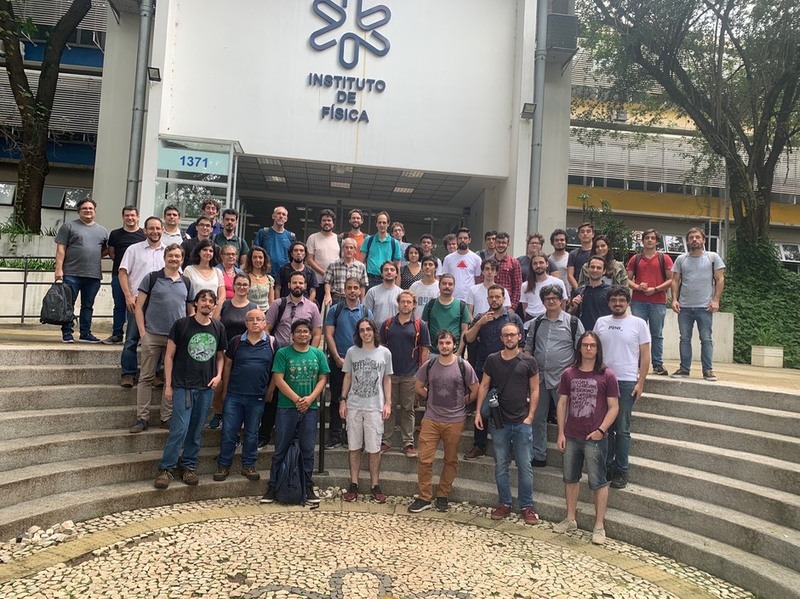 The conference will take place at the Physics Institute of the University of São Paulo and will serve to bring together the community working in Quantum Information in Brazil and abroad. - Nitrogen vacancies in diamond. - Ultra-cold atoms in optical lattices. Funding: pró-reitoria de pesquisa (PRP) da Universidade de São Paulo.